Definition at line 135 of file d3dnthal.h. Definition at line 137 of file d3dnthal.h. Definition at line 138 of file d3dnthal.h. Definition at line 139 of file d3dnthal.h. Referenced by dump_D3dCallbacks(), and START_TEST(). Definition at line 145 of file d3dnthal.h. Definition at line 161 of file d3dnthal.h. Definition at line 162 of file d3dnthal.h. Definition at line 141 of file d3dnthal.h. Definition at line 142 of file d3dnthal.h. Definition at line 150 of file d3dnthal.h. Definition at line 151 of file d3dnthal.h. Definition at line 152 of file d3dnthal.h. Definition at line 153 of file d3dnthal.h. Definition at line 154 of file d3dnthal.h. Definition at line 155 of file d3dnthal.h. Definition at line 156 of file d3dnthal.h. Definition at line 157 of file d3dnthal.h. Definition at line 163 of file d3dnthal.h. Definition at line 158 of file d3dnthal.h. Definition at line 159 of file d3dnthal.h. Definition at line 143 of file d3dnthal.h. Definition at line 144 of file d3dnthal.h. Definition at line 160 of file d3dnthal.h. Definition at line 164 of file d3dnthal.h. Definition at line 165 of file d3dnthal.h. Definition at line 166 of file d3dnthal.h. Definition at line 167 of file d3dnthal.h. Definition at line 168 of file d3dnthal.h. Definition at line 169 of file d3dnthal.h. Definition at line 170 of file d3dnthal.h. Definition at line 136 of file d3dnthal.h. 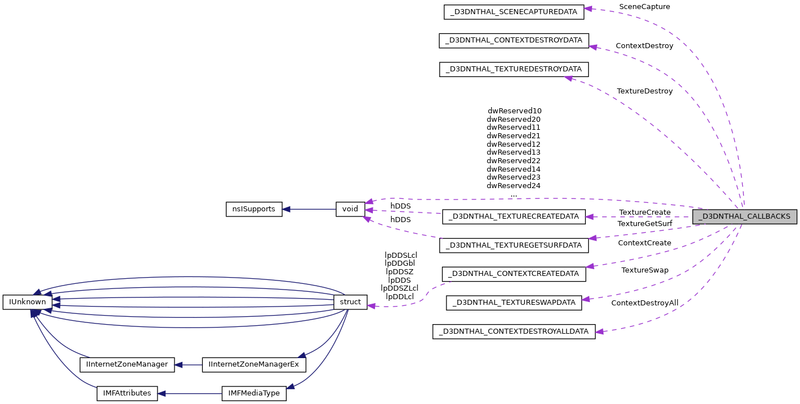 Referenced by dump_D3dCallbacks(), intDdEnableDriver(), START_TEST(), and test_NtGdiDdQueryDirectDrawObject(). Definition at line 140 of file d3dnthal.h. Definition at line 146 of file d3dnthal.h. Definition at line 147 of file d3dnthal.h. Definition at line 149 of file d3dnthal.h. Definition at line 148 of file d3dnthal.h.